Adventure Escape: Cult Mystery - Detective Kate Gray’s best friend Melissa, has gone missing after her “too good to be true” date. Kate investigates only to discover that Melissa has disappeared into a mysterious cult. Use your wits to solve puzzles and break into the cult. Meet other cult members and decide who is friend or foe. Go undercover to investigate the shadowy past of the cult and escape with Melissa. Join millions of happy Adventure Escape players and see if you can solve the Cult Mystery! - Beautiful graphics bring haunting scenes to life! - Explore the cult grounds and unravel the story behind this mysterious place! Uncover the secrets of Adventure Escape: Cult Mystery! Can you bring down the cult and escape before it’s too late? 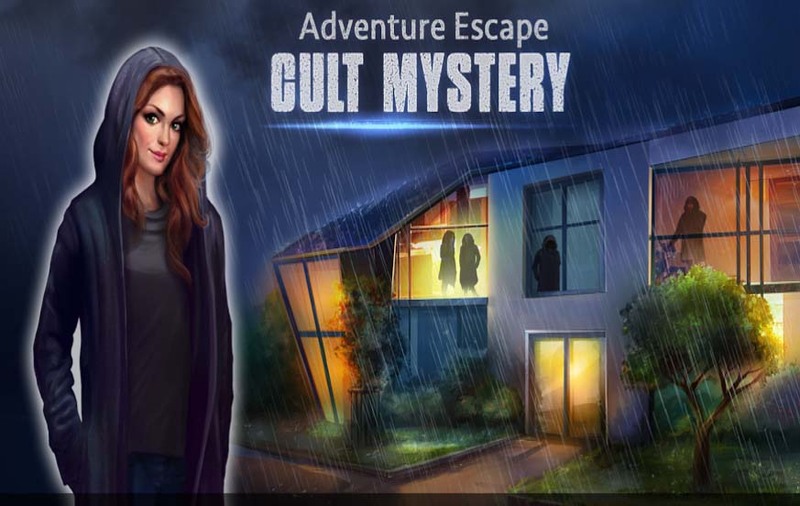 Adventure Escape: Cult Mystery: install APK and play the game.